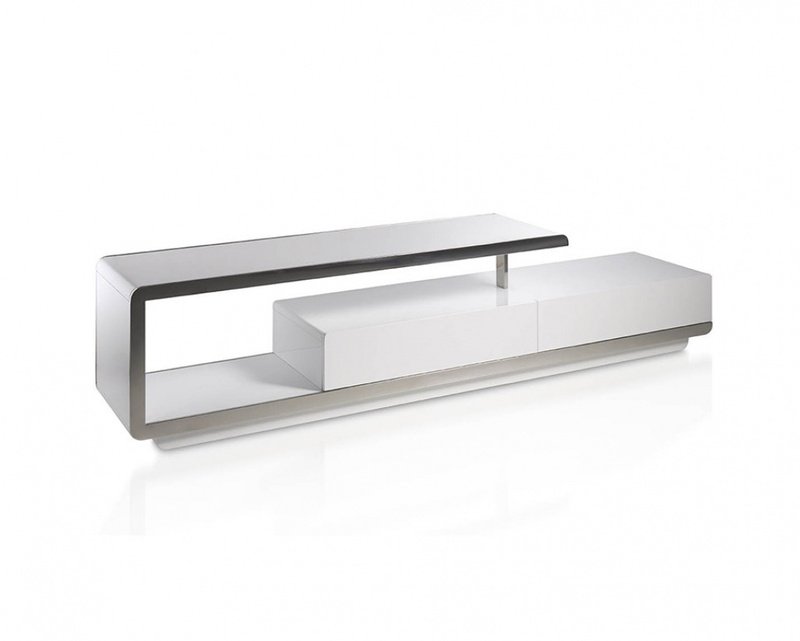 Bughetti TV unit by Angelo is a contemporary low design. 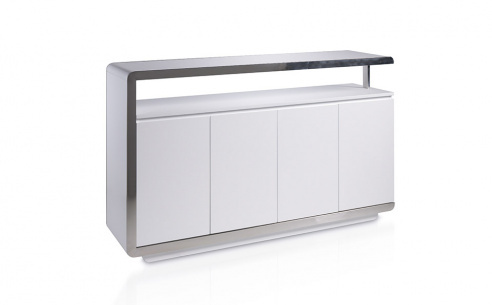 High gloss white lacquer design with polished stainless steel front. 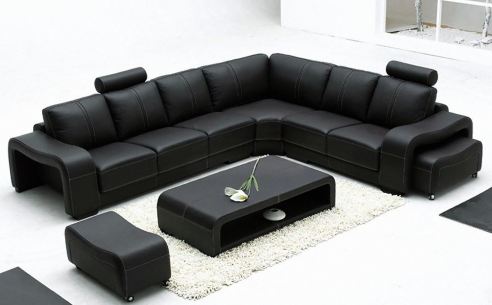 Open front design makes this perfect for use with modern day appliances. 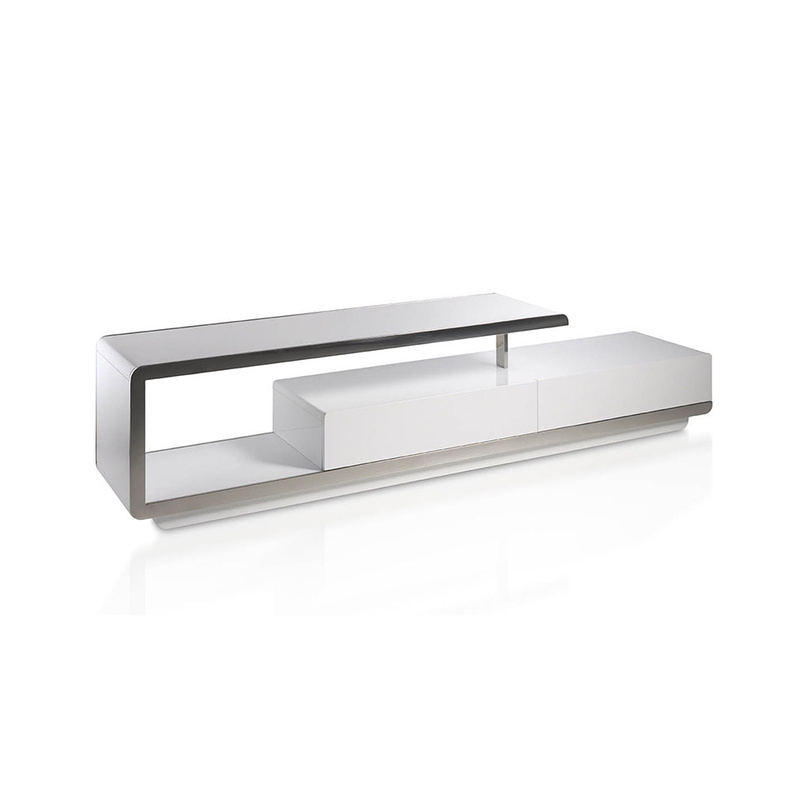 Available in other finishes, please contact us for more details and pricing.